Posted Apr 11, 2019 by Eds. 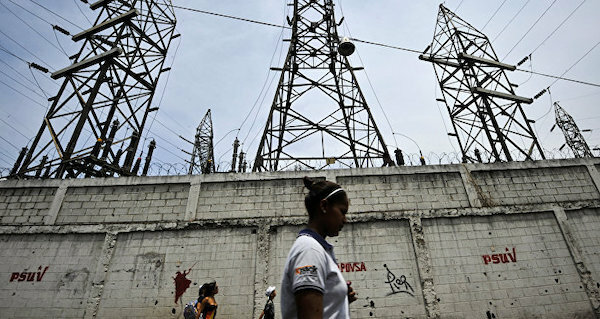 The North American intelligence agencies and their government’s attention and monitoring of the electricity situation in Venezuela is long-standing. This was confirmed by more than 1,000 documents released by Wikileaks which mention the status of the National Electric System in Venezuela and the Simón Bolívar Hydroelectric Plant located in Guri. A sample of this leak is the diplomatic telegrams of the then U.S. Ambassador to Venezuela, Patrick Duddy, reporting on the state of the National Electric System (SEN) in Venezuela in 2009, when it was strongly affected by the El Niño phenomenon. In a memorandum dated October 23, 2009, Duddy highlights the actions taken by President Chavez who, with his proactive response, “revealed a concern about the potential gravity of the situation”. Among the actions taken by the Bolivarian Government were an energy saving campaign, energy “rationing” throughout the country -except in Caracas-, the penalization of those who had high consumption and mandatory independent energy generation for private and public companies. In another communication dated November 20, 2009, the then ambassador explains a detailed SEN study highlighting the ways in which electricity is produced in Venezuela, how it is transmitted, the patterns of consumption and the correlation with the El Niño phenomenon; through a presentation by Eduardo Rosas and Oscar Zambrano, both belonging to a consulting firm and former advisors of Electricidad del Caroní (EDELCA). The consultants expose that the failure of the electrical system would generate a secondary problem which is the distribution of fuel, necessary to operate the production of energy in the private sector. Faced with this, Duddy did not hesitate to assert that the conditions of the SEN are a “perfect storm” that should be taken advantage of, naturally, in favour of the interests of the United States to overthrow the Bolivarian Government. Other leaked information from Wikileaks about Venezuela’s National Electric System (SEN) is part of the Global Intelligence Files (TGIF) series. There are more than 5 million e-mails, released in 2012, that belong to an international espionage network operated by Stratfor, known as the CIA of Shadows. One of these documents is a special report, which was subsequently published on the Stratfor website with infographics and multimedia features. It states that “Venezuela was not at a tipping point, but if it was on a red line” due to a possible electrical collapse that would bring with it economic hardship since it would paralyze the country’s industry and commerce, the indexes of insecurity would skyrocket due to the absence of lighting, and the lack of water due to power failure necessary for pumping it from reservoirs. As a consequence of the situation of the SEN, these difficulties would weaken the government of Commander Chávez, which “the opponents of the Bolivarian Revolution should take advantage of” in order to form an integral part of the political panorama. They mention Henry Falcón as the opposition leader who stood out the most at that time. On the other hand, the American journalist Max Blumenthal published a journalistic investigation on the Wikileaks leaks with the Venezuelan SEN and Stratfor’s relationship with CANVAS, the latter organization trained in techniques of political regime change to the self-appointed president of Venezuela, Juan Guaidó. In the e-mail Srdja Popovic, member of CANVAS, writes to Reva Bhalla, then vice-president of Stratfor, that the “key to Chávez’s weaknesses is the deterioration in the Venezuelan electricity sector”, and also suggests that a well-trained opposition group could weaken the Bolivarian government by that time and thus take advantage of the situation to channel discontent towards satisfying its needs. According to Blumenthal, 10 years later this coincided with the blackout generated by the cybernetic and electromagnetic sabotage of the SEN and Guaidó’s calls to protest, utilizing the electrical crisis in their favour and in the interests of the United States. Other revelations about Venezuela’s SEN that were filtered by Wikileaks–which do not belong to the GIF series–date back to the 1970s, revealing data on technology acquired in the United States by the Venezuelan government at the time, for the construction, by a U.S. company, of the recently sabotaged hydroelectric plant.